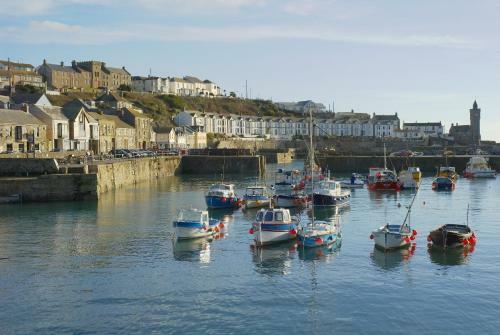 Whilst Lands End is famous for being the most Westerly point, the Lizard Peninsula is the most southerly point of the United Kingdom. The Lizard area is famous for it's dramatic coastline, the scene of many shipwrecks and hence the location of the Lizard Lighthouse. The area is also known for it's sepentine rocks and there are a number of small shops selling items made from it in the village. 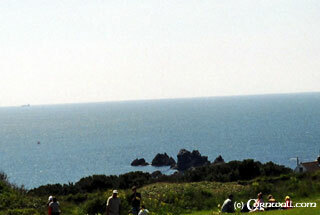 Also nearby are the villages of Mullion and Cadgwith and the beautiful beach of Kynance Cove. 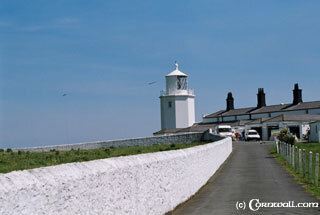 Like the rest of Cornwall, the Lizard blends a colourful history, beautiful scenery with the unexpected. A few miles North of the Lizard point is Goonhilly Satellite Station and further towards Helston is RNAS Culdrose where the Sea Rescue Helicopters are based and they have an annual air day.